Global warming is a very serious problem of the modern world. 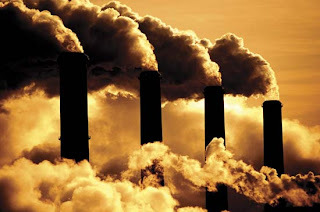 It started when humans began using hydrocarbon fuels, which releases harmful gases, such as Methane and Carbon Dioxide, capable of trapping the heat radiations. The effects of global warming are now coming into the picture: sudden increase in the sea level, submerging of few metres of the Maldives Isles, decrease in the temperature of cities in North India due to melting of Himalayan Glaciers, Melting Ice caps in Greenland and much more. If quick steps are not taken now then many small Islands will disappear, or may be plains in the whole world. It is really difficult to reduce the emission of these gases immediately, since most of the things in this world are driven by these fuels only. As the scientific research progresses more and more, we may think of developing good alternatives. Advancement of Technology in Nuclear Science, Power transmission, and Engines & Machines of better efficiency, can help substantially in reducing the combustion of hydrocarbon fuels. Nanotechnology can help to trap those gases which trap heat radiations, or to make those gases inert.